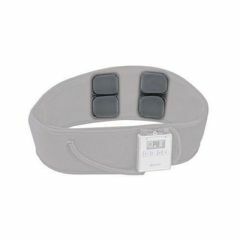 After extensive use or misuse, the electrode pads on the Back Pain Relief System with TENS Belt Technology may require replacement. Replace pads if you notice the pads are drying out and no longer stick securely to the skin. This part is just what I needed! Fairly simple to change out. Allow them to dry out uncovered overnight in sweaty conditions. How are the electrodes attached to the belt? If they dry out can I replace them with standard 2" electrodes? The electrodes can be replaced. They sell replacements on Allegro website. They attach to the belt with a sticky adhesive. This was part of the problem at times as they would become loose. Will this belt work with a basic tens unit that uses the traditional pads. I have a sensitivity to the pads and am looking for a pad that won't cause a skin reaction.